A diplomatic gift is a gift presented by politcal leaders or military members when visiting another state or foreign country, and the host will often reciprocate. The tradition of diplomatic gifts dates back to ancient times and has been known to make or break relations. At the top levels of government, there are entire departments dedicated to overseeing dipolomatic gifts and protocol gifts. 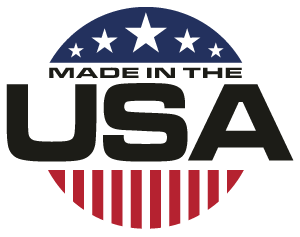 As the only pewter company in the U.S. that still uses the centuries-old hand-casting method to create our pewter products, Hampshire Pewter is a prime source of diplomatic and protocol gifts for officers of the United States Government. We often work with city, town and state departments to create commemorative pieces and city souvenirs for municipal milestone events or to acknowledge public service retirement or achievement. Hampshire Pewter also accommodates commissioned works to create custom pewter reproductions or souvenirs for non-profits, historical societies, fraternal organizations, private collectors, and museums. 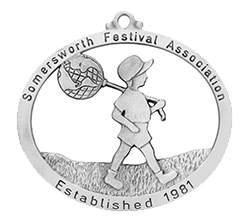 This is a recent example of a custom ornament commissioned by the Somersworth Festival Association to commemorate the 35th Annual Somersworth, NH International Children's Festival. Choose a presentation piece from our full selection of fine pewter gifts, or opt to create a custom piece specific to your purpose. Our custom pieces are superior in quality. We can create double-sided ornaments in 3D relief, as well as commemorative coins and medals. We'll work closely with you to ensure your custom municipal ornament or souvenir gift represents the spirit of your community. Yes - we can engrave your municipal seal! Do you have a milestone event approaching? Contact us at 603.569.4944 for personal assistance in choosing or designing a presentation piece to commemorate your event. We accommodate wholesale orders and pricing. Although we can fast track to an important date, the turn around time on custom work production is generally 6-8 weeks. We look forward to helping you design a beautiful custom commemorative gift for your event.